This small complex comprises a total of 26 accommodation units. Amongst the facilities count a foyer with a reception desk where friendly staff are on hand to cater to guests'' wishes. This complex is located on the seaside road of Argassi, a small scenic resort whose population explodes during the summer months, as it once again receives thousands of visitors who return year after year. 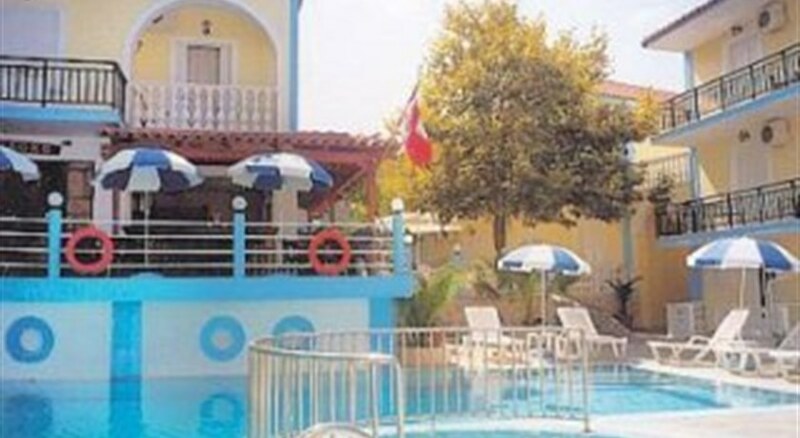 It is 200 m to the nearest beach and the town centre is around 500 m from the hotel whilst it is 2.5 km to the capital town of Zante. This small complex comprises a total of 26 accommodation units. Amongst the facilities count a foyer with a reception desk where friendly staff are on hand to cater to guests' wishes. Lockers are available at the reception desk (fees apply).